Express yourself! A uniform and attractive corporate identity encompasses everything from the graphical profile to the tone of the written communication. We help you with both the basic strategy and to convert your ambitions and messages into a concrete expression that will get attention. Creating visual identities is our specialty. 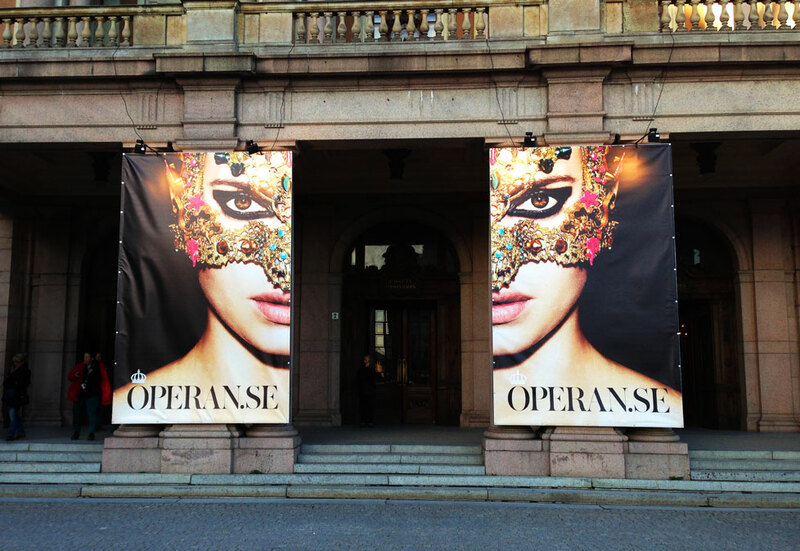 One of our clients is the Swedish Royal Opera. Let us tell you about the process of developing their graphical profile. At the beginning we started off with a thorough analysis of the existing material. After that we asked ourselves the question: How is the Royal Opera supposed to feel? What’s its smell? The answer was clear: It should smell like blood, sweat and love! All classical operas are intensely dramatic and it’s the drama that we want to visualize. Have a look below at the new graphic policy that we have based on four general criteria. Once the foundation was in place, with the right feelings and images, it was time to select typography. We started off this work by creating so called ‘mood boards’ – a collection of graphical ideas. Once the design was done we create an easy-to-use manual. The purpose of the manual was to make it clear to everyone in the organization why and how to communicate on different platforms. The design manual describes everything from the general thoughts on the visual expression down to the technical details. All parts of the company are affected by the new graphic profile: stationary, envelopes, business cards, correspondence cards, bags, notebooks and last but not least, the flag! An excellent customer- and member magazine strengthens the identity, drives engagement and conveys a message. We work with the best writers and photographers in the country and manage the project from the first editorial meeting until the magazine is hot off the printing presses. 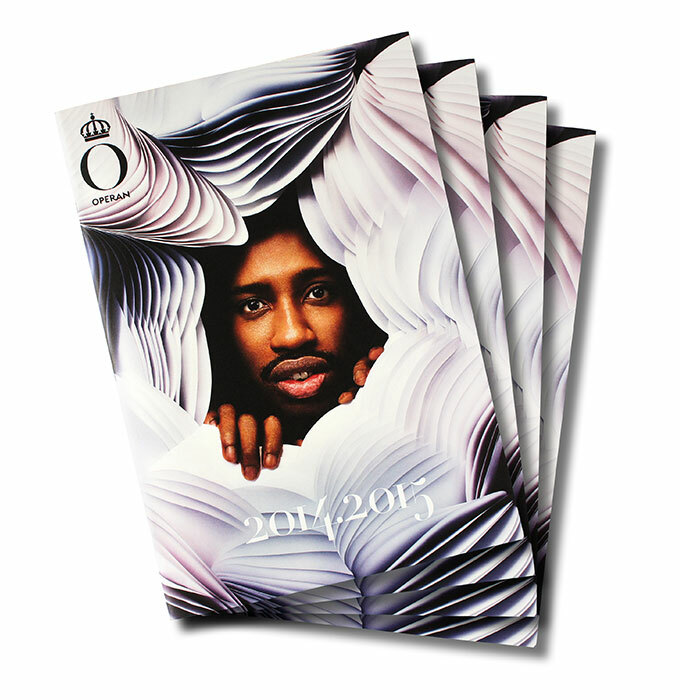 Have a closer look at the Swedish Royal Opera’s magazine under the header »Magazines«. Below you see Creative Director Pompe Hedengren’s sketches for one of the larger photo jobs. Powerful images are important for the visual expression. What really happens behind the scenes at a photo shoot? Here you can see how we, together with photographer Karolina Henke and stylist Bente Rolandsdotter, lead the work during an all day photo session in the golden foyer of the Swedish Royal Opera. We make all of the parts of the campaign: from the conception of the idea until the launch of the concept. For example messages, design and copy for ads, posters, banners, digital flyers and Facebook events. Finally, Art Director Johan Björnsrud made this animation that was showed on the jumbo screen at Stureplan in Stockholm. View more of the Swedish Royal Opera’s magazine here.